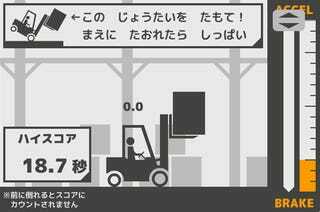 This is Forklift Balancer. It's a game on - wait for it - Geocities. And I'll be damned if it's not keeping me from working/eating today. All you've got to do is tip a forklift without actually spilling the contents. That's it. But man, these controls, they're smooth as butter.